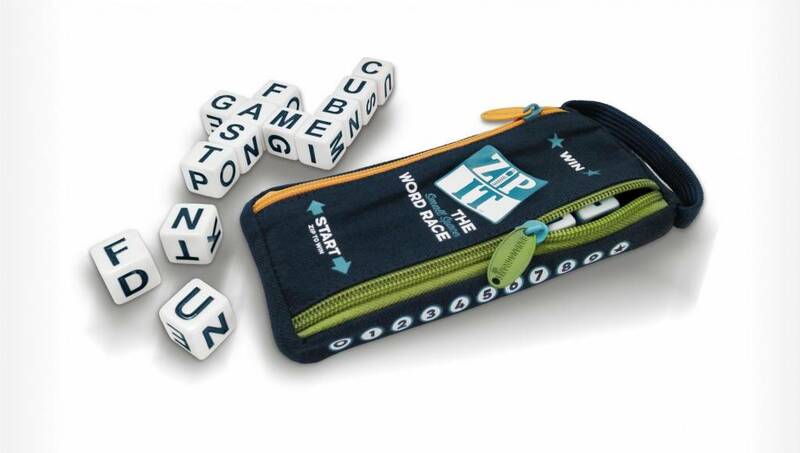 ZIP IT is a two-player word race that can be played anytime, anyplace in a matter of minutes. 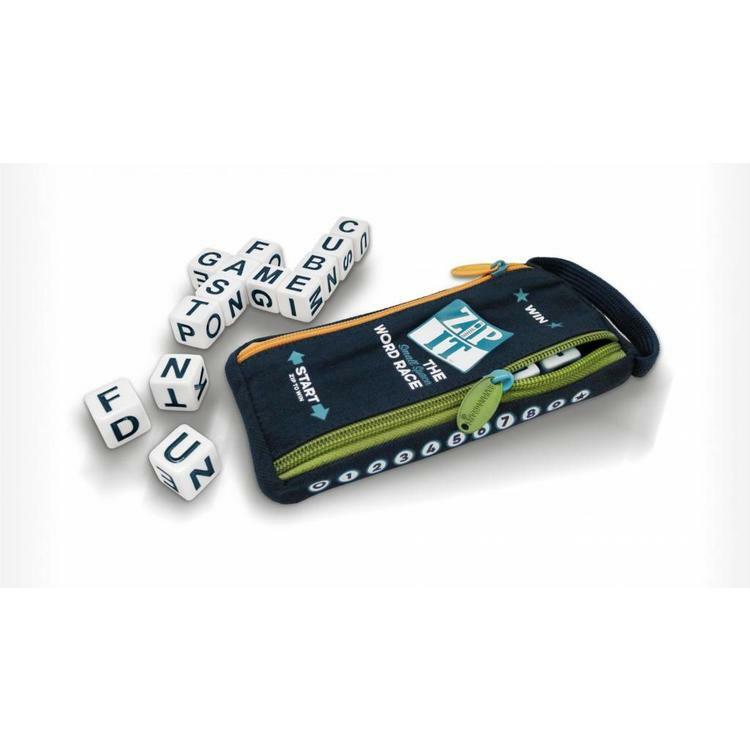 ZIP IT includes 24 high-quality letter cubes packaged in a cloth pouch featuring unique scoring zippers. The perfect gift for the gamer on the go, ZIP IT is a two-player word race that can be played anytime, anyplace in a matter of minutes. ZIP IT includes 24 high-quality letter cubes packaged in a cloth pouch featuring unique scoring zippers. Take 12 cubes and race against your opponent to build a word grid. Super-fast rounds and small space play makes ZIP IT the ultimate travel game - even fits on an airplane tray table! A round can be played in as little as 20 seconds, so be the first to zip to 10, then race all over again!